A vast volcanic mountain chain lies along the floor of the Caribbean Sea. The tops of some of the mountains extend beyond the water to form many of the islands of the region. Other islands are cays (pronounced keez), low-lying coral islands, formed over thousands of years from the accumulation the skeletal remains of tiny sea animals. The islands of the region are divided into three main groups—the Bahamas, the Greater Antilles, and the Lesser Antilles. The Bahamas is an archipelago or a group of 700 islands north of the Caribbean Sea. People inhabit only about thirty of the Bahamian islands. South of the Bahamas are the largest islands of the Caribbean, called the Greater Antilles. The Greater Antilles include Cuba, Jamaica, Puerto Rico, and Hispañola. The largest islands of the Greater Antilles have rugged mountains and lush, thick rain forests. Hispañola is home to two nations: Haiti and the Dominican Republic. Most of the rest of the Caribbean islands form an arc that stretches from Puerto Rico to the coast of South America. These islands are known as the Lesser Antilles. Mr. Donn has an excellent website that includes a section on the Caribbean. 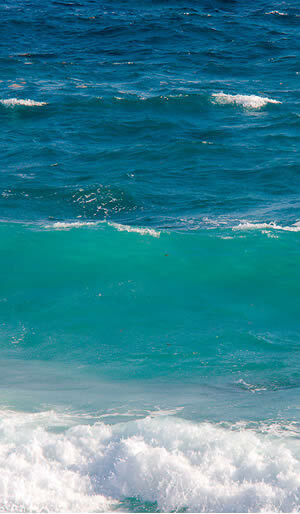 The Caribbean Sea is a sea of the Atlantic Ocean located in the tropics of the Western hemisphere. The entire area of the Caribbean Sea, the numerous islands of the West Indies, and adjacent coasts are collectively known as the Caribbean. 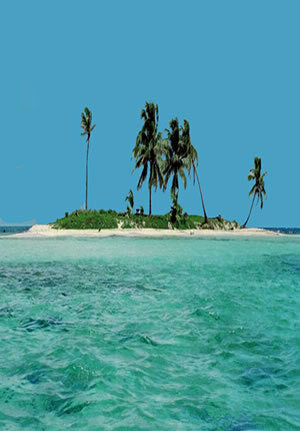 A cay (also spelled key) is a small, sandy island formed on the surface of a coral reef.